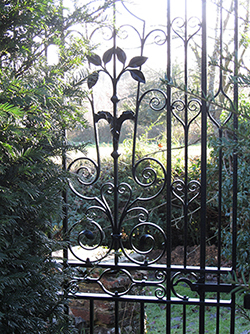 Based at our forge in Ash, Hampshire Metalcraft undertakes commissions from clients across the UK and is the premier choice for Hampshire, Surrey and the surrounding area. Our blacksmith's high quality work features his trade mark hot forged designs including bespoke staircases, balustrades and decorative Ironwork as well as smaller articles such as furniture and curtain poles. 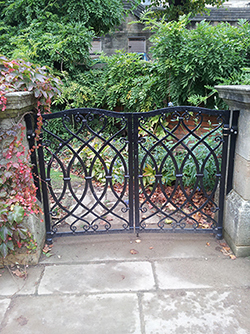 Cliff has also often been asked to combine a clients' existing period metalwork into their new project. 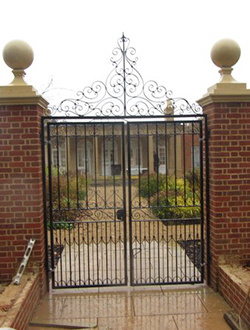 Bespoke wrought iron gates, hand crafted bespoke to your individual requirements. 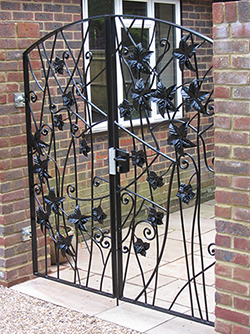 As a specialist in wrought ironwork Cliff professionally crafts beautiful wrought iron gates and has over 35 years of experience working with metalwork. 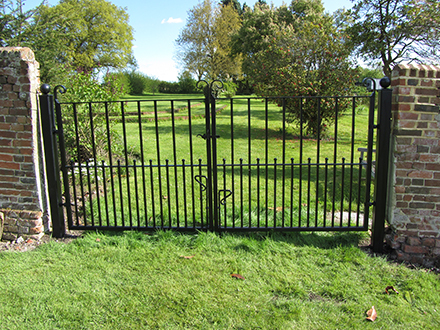 Hampshire Metalcraft has over 35 years of experience working with metal, utilizing traditional blacksmithing skills combined with modern metalworking techniques. All of Cliff's work displays his innovative concepts in both design and execution. His approach in designing and creating each commission as a bespoke piece of work allows the client to have something completely unique. Cliff's approach in designing and creating each commission as a bespoke piece of work allows the client to have something completely unique. over 35 years experience, specialising in bespoke commission items, Artist and blacksmith Cliff creates his work at his own forge. Cliff undertakes commissions for clients regularly across the entire southwest of England, and is the premier choice for Hampshire . Moreover, Cliff is happy to consider any commissions, and enjoys the opportunity and challenge of working on them. 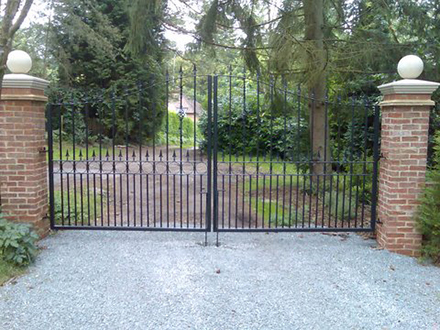 "Beautiful, crafted wrought iron gates." "Our approach in designing and creating each commission as a bespoke piece of work allows the client to have something completely unique."